One of greatest scientific battles of the late nineteenth century involved the fundamental nature of the nervous system’s structure. This debate pitted two preeminent rival neuroanatomists—Camillo Golgi, an Italian, and Santiago Ramón y Cajal, a Spaniard—who harbored hostility toward each other even as they were jointly awarded the 1906 Nobel Prize. The cell theory of 1838 proposed that the cell is the fundamental unit of life, a concept not extended to the nervous system, which is far more complex in its structural organization. In 1873, Golgi announced that when he used his newly formulated silver stain, a reazione nera (a “black reaction”), it permitted him a clear full view of single nerve cells on a yellow background. He described the cells as a branching network or reticulum that was the anatomical and functional unit for nervous system communication. This description supported the reticulum theory proposed in 1872 by the German histologist Joseph von Gerlach and became the prevailing view toward the end of the nineteenth century. Nerve cells were viewed an exception to the cell theory. Cajal, working in virtual scientific isolation in Spain in the late 1880s, used the same stain as Golgi but reached a diametrically different conclusion. His microscopic analysis revealed that each neuron (nerve cell) was a distinct entity, not contiguous with other cells. Cajal reported his initial findings in 1891 in Spanish, a little-read language in science, so Wilhelm Waldeyer formally consolidated Cajal’s findings and proposed the neuron doctrine in a widely read German publication. The doctrine, which stated that the neuron was the structural and functional unit of the nervous system, was later conclusively established with the electron microscope. This view is now considered to be the foundation of neuroscience. Waldeyer’s name is closely associated with the neuron doctrine, although he provided no original observations in its formulation. In 1892, Cajal hypothesized the law of dynamic polarization, which stated that electrical impulses in neurons traveled in only one direction from dendrite → cell body → axon → dendrite in another cell. SEE ALSO: Leeuwenhoek’s Microscopic World (1674), Nervous System Communication (1791), Cell Theory (1838), Neurotransmitters (1920), Electron Microscope (1931). The neuron (nerve cell) is the structural and functional unit of the nervous system and is physically separated from adjacent neurons by a synapse (gap). 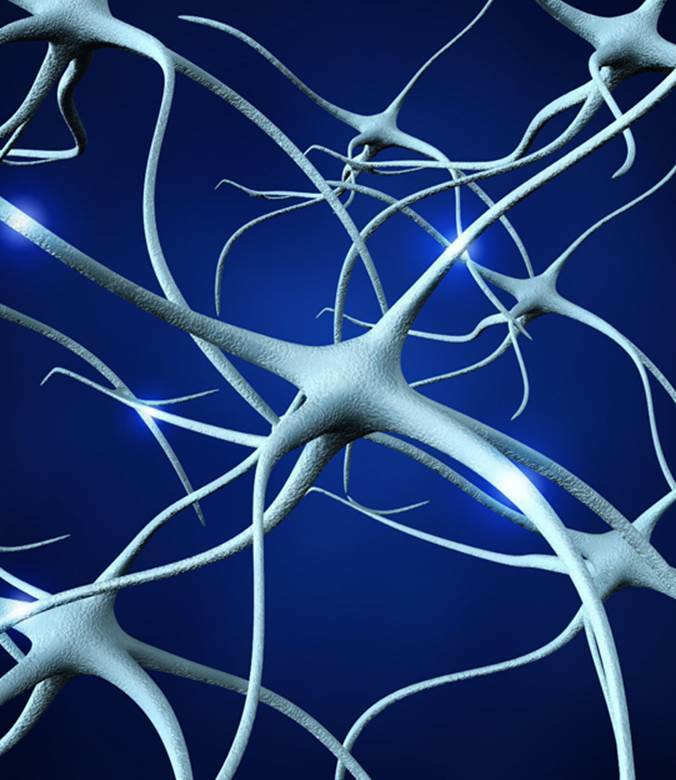 Neurons communicate with one another via chemicals called neurotransmitters.